Downtown Miami is an urban residential neighborhood, and the central business district of Miami, Miami-Dade County, and South Florida in the United States. Brickell Avenue and Biscayne Boulevard are the main north-south roads, and Flagler Street is the main east-west road. 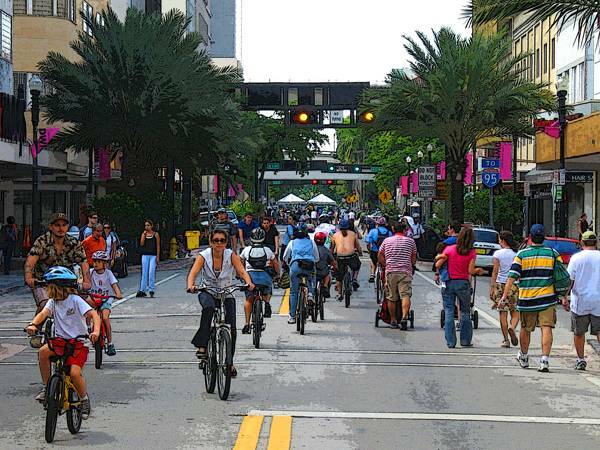 Locally known as Downtown, the area is a cultural, financial, and commercial center of South Florida, tracing its present-day history back to the 19th century. In recent years, Downtown Miami has grown to become the fastest-growing area in Miami, with large scale high-rise construction and population increase. Downtown is home to many major museums, parks, education centers, banks, company headquarters, courthouses, government offices, theaters, shops and many of the oldest buildings in the city. Downtown Miami is centered on the Central business district (CBD), best known by local Miamians as simply “Downtown”. 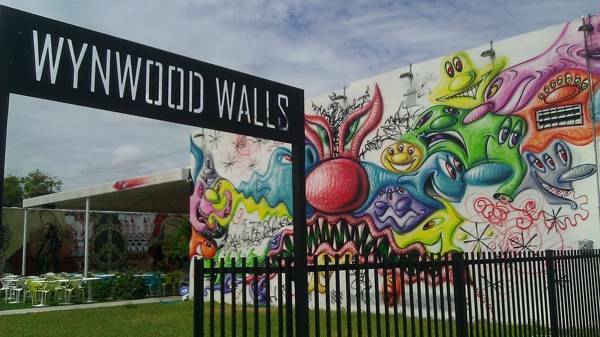 Although distinct neighborhoods with different characters, the following neighborhoods are often labeled under the umbrella term of “Downtown Miami”. The Central business district (CBD), better known by locals as simply just “Downtown”, is the historic center of Miami, and what is traditionally called “Downtown”. 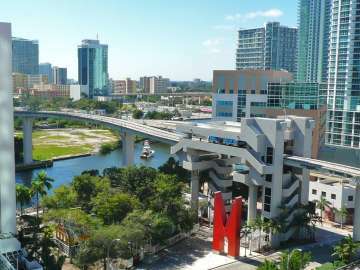 Downtown is bound by NE 6th St to the north, Biscayne Bay to the east, the Miami River to the west and south. 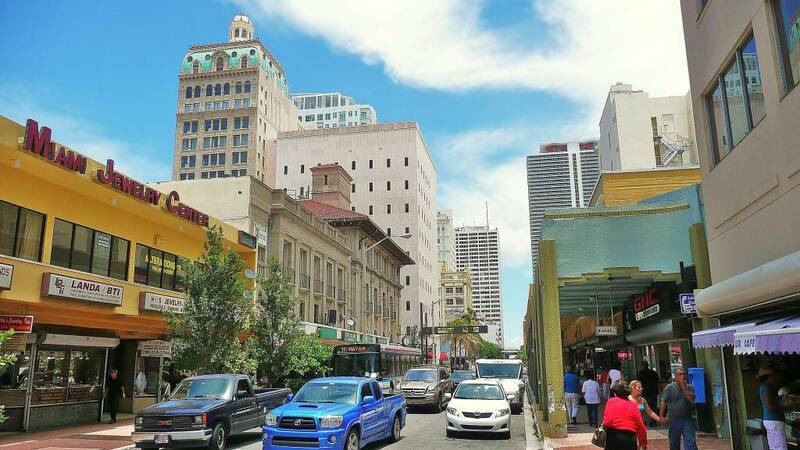 Within this area, is where the majority of Miami’s historic buildings are, the main shopping street, Flagler Street, museums, libraries, offices, schools and colleges, as well as the vast majority of local, county, state and federal government offices and courthouses. Downtown is directly served by the Miami Metrorail at: Government Center Station, and by 13 Metromover stations on the Downtown, Brickell, and Omni Loops.